When my kids were little I finally learned it was not what I could cook fast that would save me time. It was things that I could cook slow by putting it all in the pot and cooking over low heat. My family ran from baseball games to soccer games to school events and more. I would say pretty much what the typical American family with a house full of rambunctious boys does on a regular basis. I love it! I cook on it all the time. It is amazing how yummy a grilled cheese sandwich is with those even grill lines. No heating up the kitchen or standing outside waiting for the grill to heat up. Perfect for summer meals. 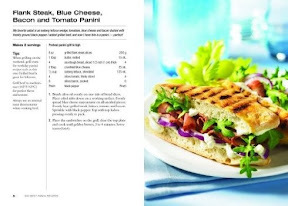 I am not that creative in the kitchen so I was excited to get the panini press to try a friend’s cookbook. Even more great is that my niece has a recipe in this book. Just imagine a PB and J panini. Sounds weird but it is yummy. 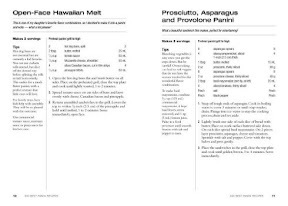 Here are a few of the other recipes listed on amazon with the cookbook. Did I also say that my panini maker also gives me time to get back to the sewing machine? Try cooking bacon on one of these! It is scrumptious and you will never cook bacon in a pan again! All those time savers in the kitchen are wonderful! I still love my crock pot. I can let it go as long as I want while I'm busy with my quilts and it doesn't burn anything! You can also make quesadillas on it! Hmmm….I think I need one of these! 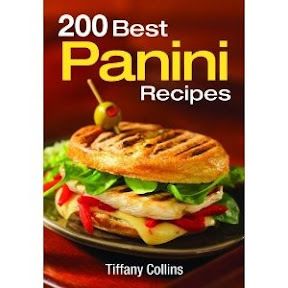 I have the same book and Panini maker. I use my waffle iron as a pannini press. love it!